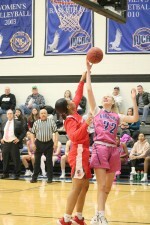 #16 Lecari Elion, freshman, pitches against Marshalltown Community College on March 28. 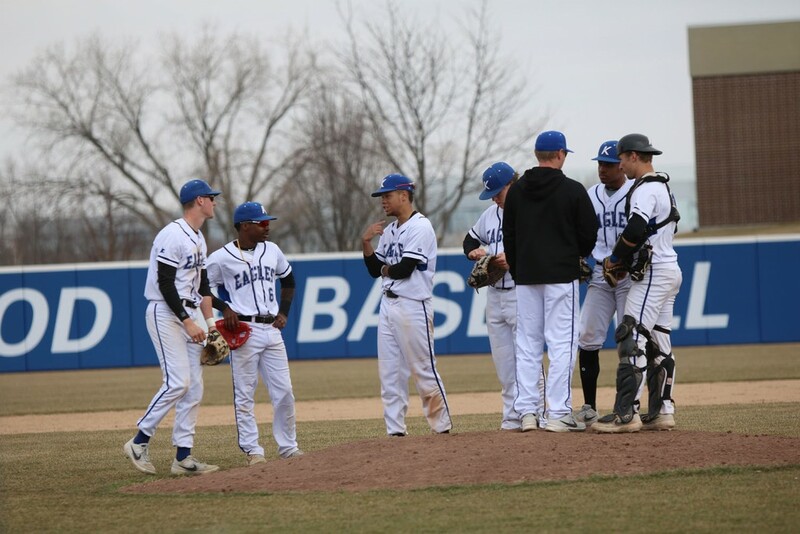 Assistant Coach Casey Hall meets with players between innings on March 27. 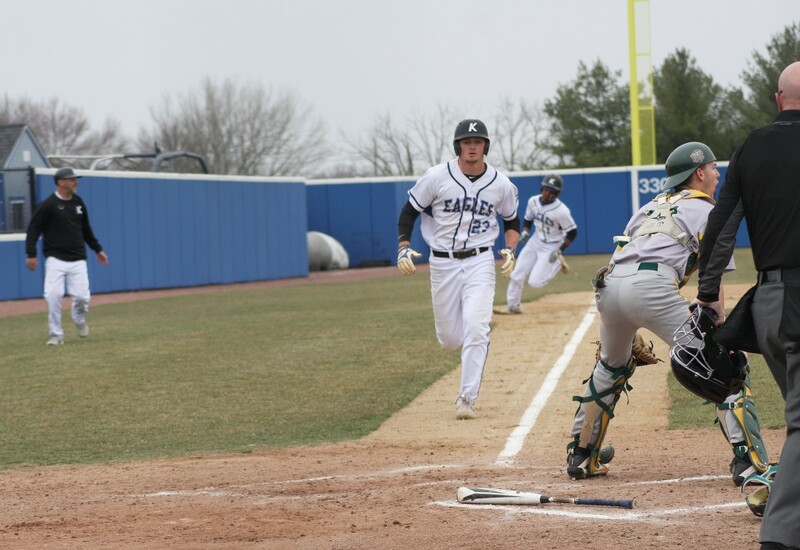 #23 Levi Usher, freshman, heads to home plate with #1 Taylor Jackson, sophomore, right behind him, scoring two runs for the Eagles. 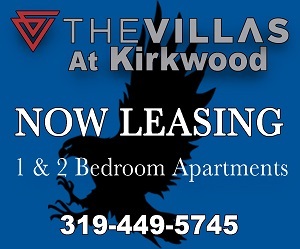 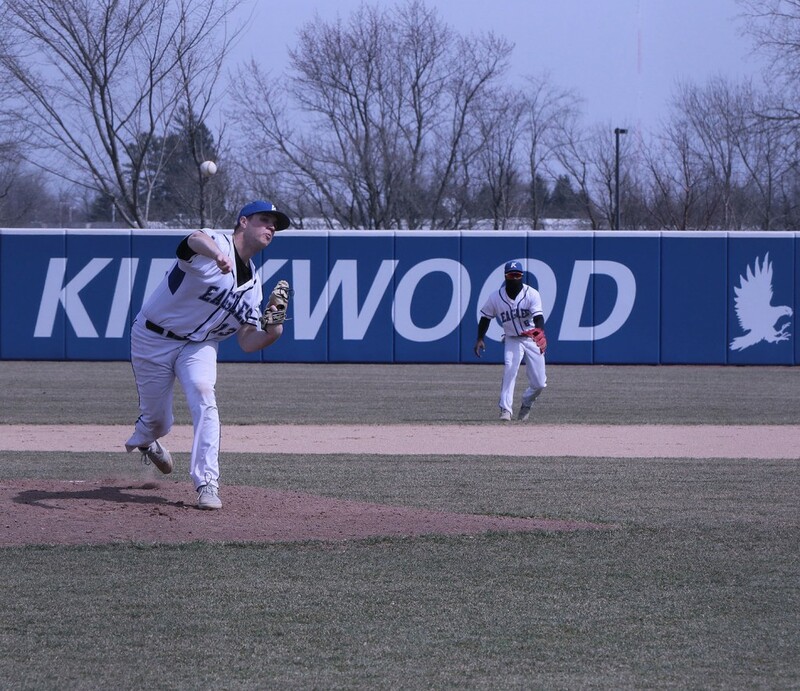 The final score was 11-5 with the Eagles taking the win against Parkland College on April 3. 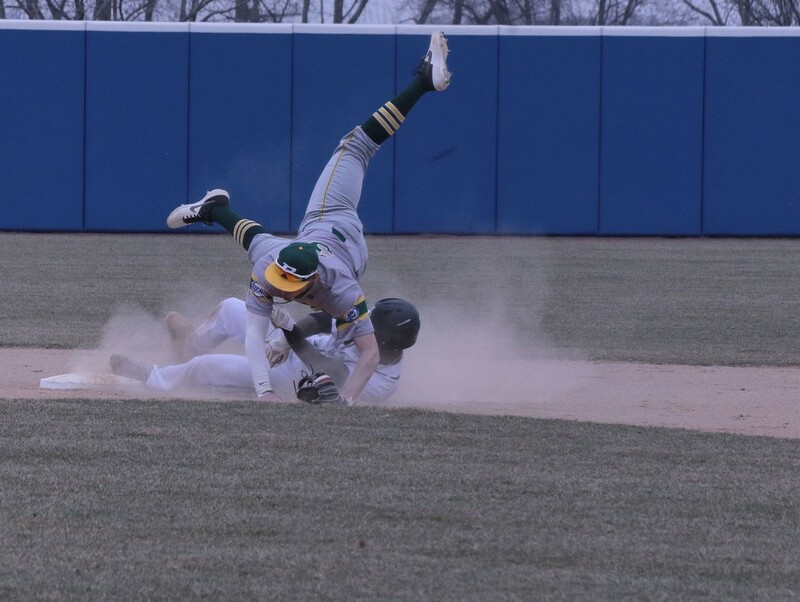 #6 Jamarion Loston slides into second base and knocks the Parkland player out of the way during an Eagles home game on April 3. 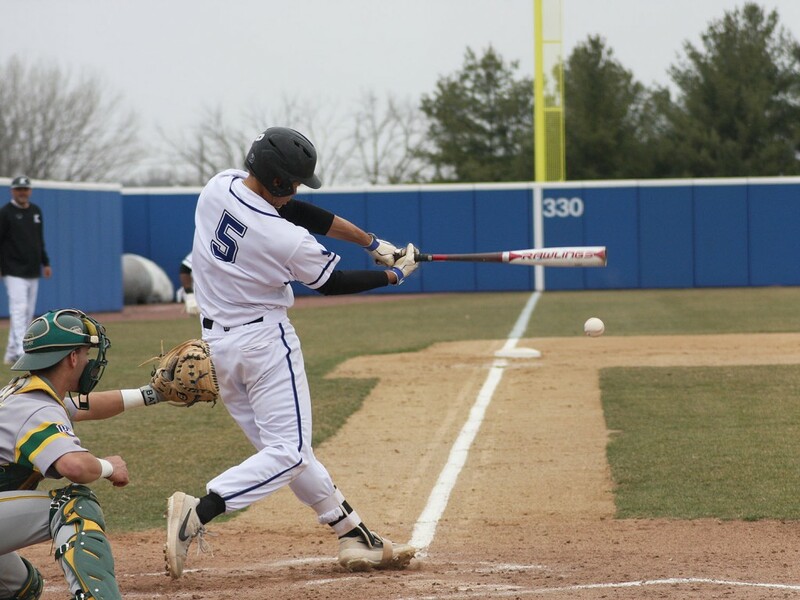 #13 Carter Lawler, sophomore, sends one toward home plate on March 30. 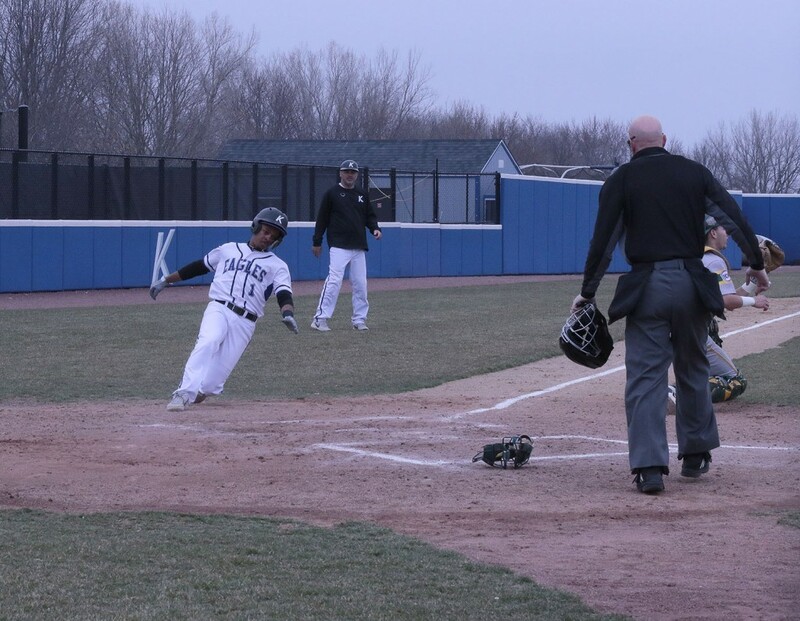 On April 3, Eagles #1 Taylor Jackson, slides to beat the play at home plate as Head Coach Todd Rima, center, watches for the call. 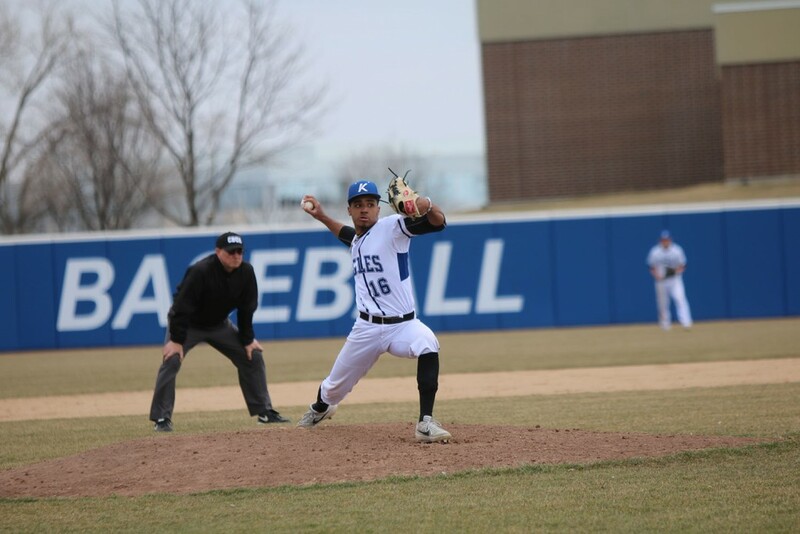 #6 Jamarion Loston, freshman, steps out of the way of a wild pitch thrown by Marshalltown Community College at the game on March 27. 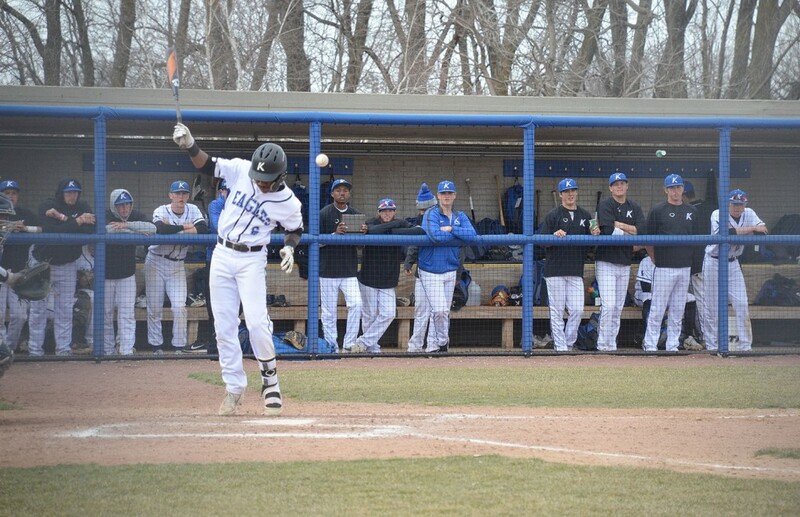 #5 Zion Pettigrew, sophomore, connects with the ball that brings one run to the Eagles against Parkland College on April 3.